Michael Twitty at the Sandy Spring Museum in Maryland. 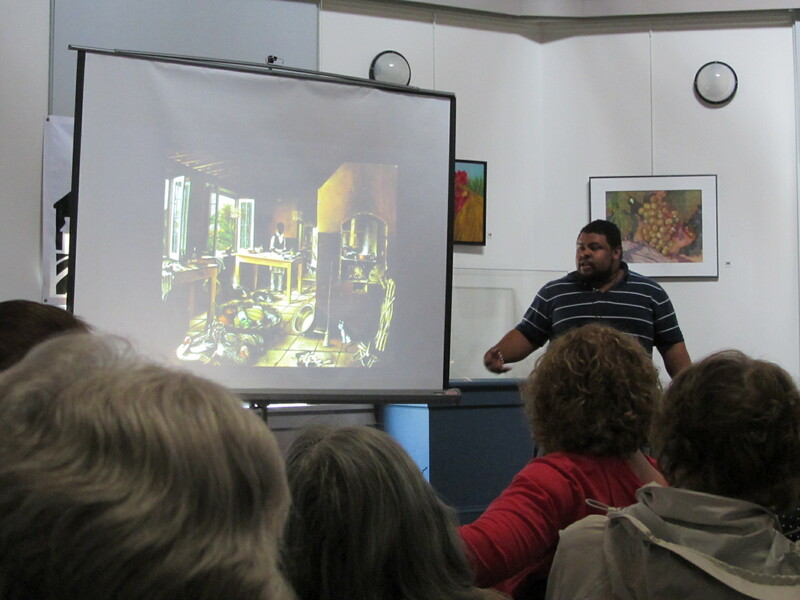 A couple weeks ago I attended a lecture on the “world of a slave” at the Sandy Spring Museum in Maryland. Kym Rice spoke about her recently published two-volume work, The World of a Slave: Encyclopedia of the Material Life of Slaves in the United States, which she co-edited with Martha Katz-Hyman of Colonial Williamsburg. Many of you know Kym as the director of the museum studies program at George Washington University, but you may not know she is also working towards her Ph.D. in American Studies, focusing on African American history and culture. This entry was posted in Fundraising and tagged Donors Choose, Indiegogo, Kickstarter, Kym Rice, Michael Twitty, Sandy Spring Museum on April 11, 2012 by Max van Balgooy.